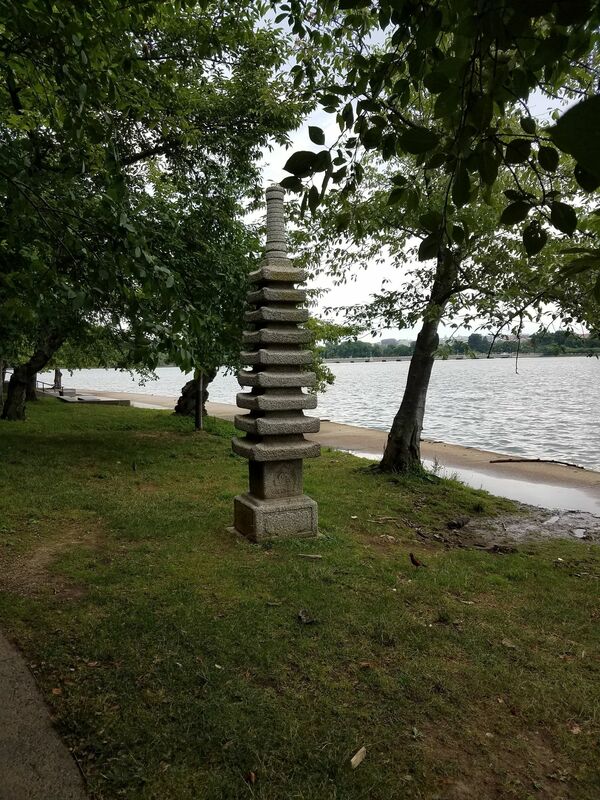 Walking Tour of Monuments and Memorials is a 5.6 mile heavily trafficked point-to-point trail located near Washington, District of Columbia that features a river and is good for all skill levels. The trail is primarily used for walking, road biking, and scenic driving and is accessible year-round. Dogs are also able to use this trail but must be kept on leash. 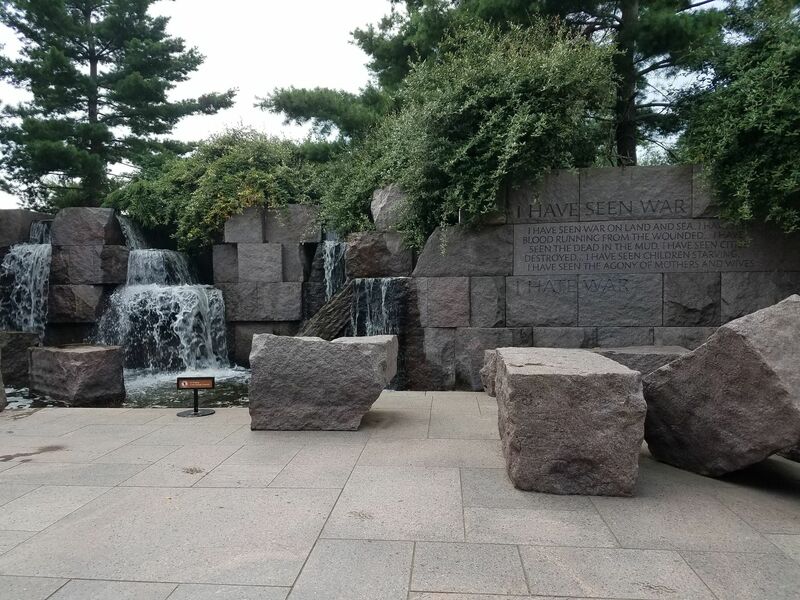 A scenic walk from the White House, along the National Mall, around the Tidal Basin to the Capitol This is a great way to see all of the Monuments and Memorials of Washington DC, each unique and important in its own way. 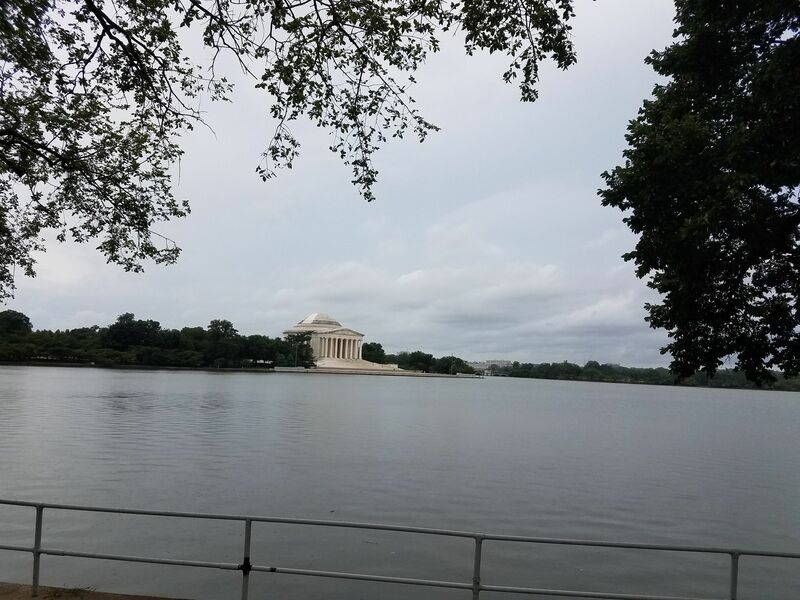 The walk starts at the White House and continues through the National Mall, along the Reflecting Pool, around the Tidal Basin, and eventually ends at the US Capitol Building and Supreme Court. 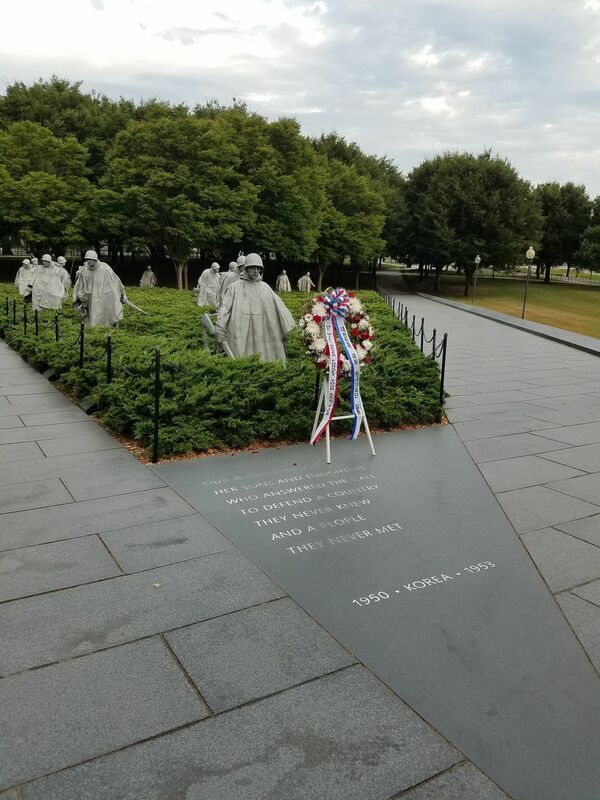 This tour will take you through many significant eras in the history of the United States, including the Revolutionary War, Vietnam War, Korean War, World War II, past several memories to inspiring presidents such as Lincoln, Roosevelt, and Jefferson, and past all three branches of government. On top of that, it is a scenic walk and quite relaxing depending on the time of year and the weather. 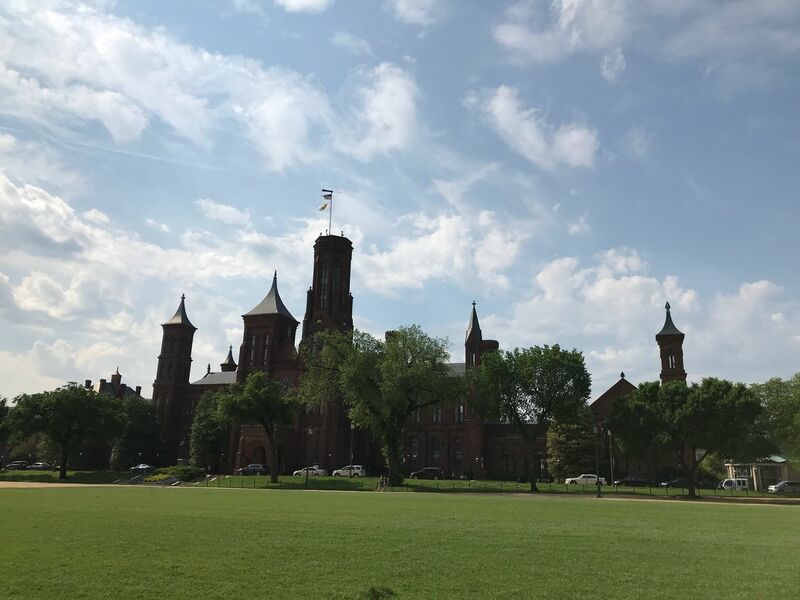 After completing this walk, you will have seen most of the tourist destinations in Washington DC (other than the museums that surround the National Mall). 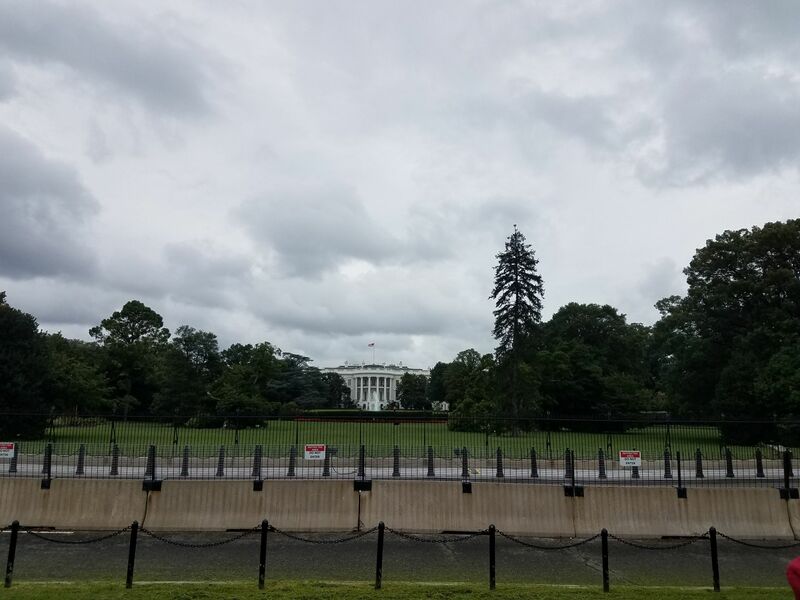 The White House is the official residence and office of the President of the United States and the first family. 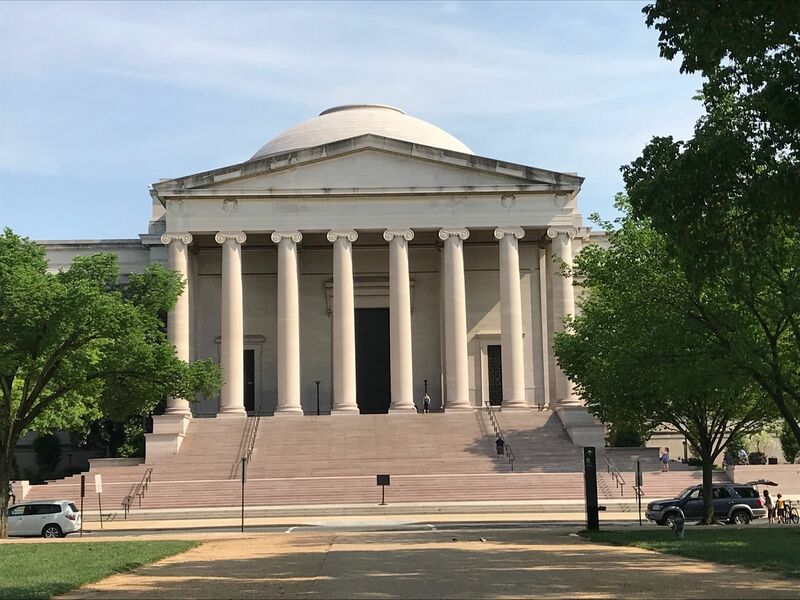 It is located at 1600 Pennsylvania Avenue and was built between 1792 and 1800. In 1814, during the war of 1812 it caught fire and much of the interior was damaged. 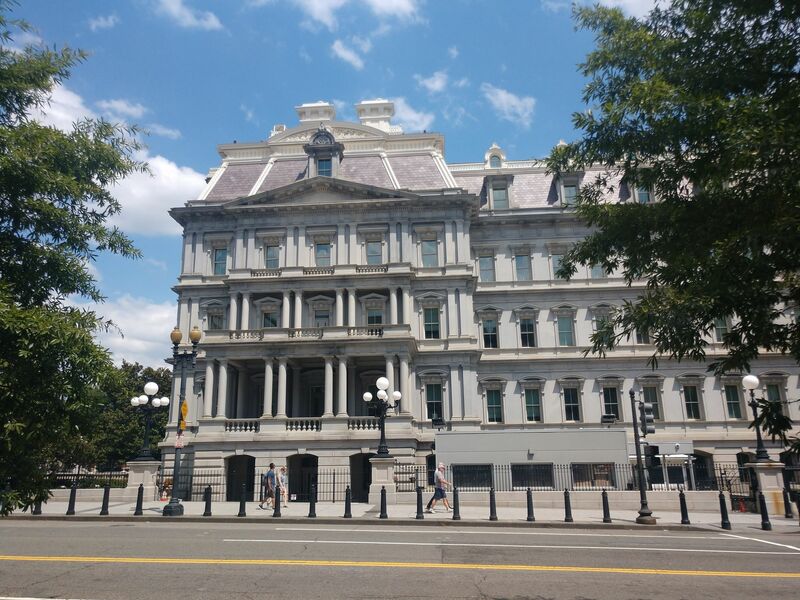 There are several sections of the White House, spread out over 6 floors (4 above, 2 below ground), including the Executive Residence, West Wing, Cabinet Room, Roosevelt Room, East Wing and Old Executive Office Building. 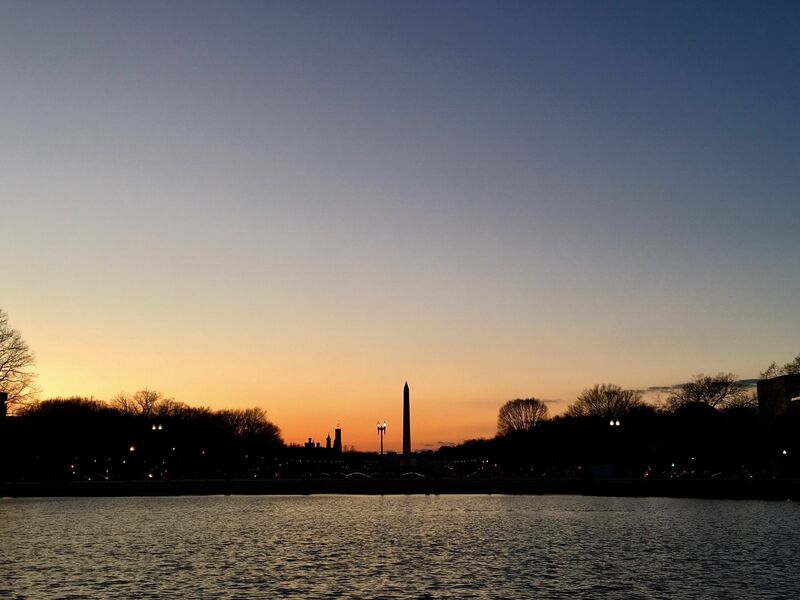 Built in honor of George Washington, the Washington Monument is hard to miss as it stands 555.5 ft tall in the middle of the National Mall. Anyone can go to the top free of charge but you may need to wait a while to get your free ticket. Once at the top, you can see up to 30 miles in an direction on a clear day. 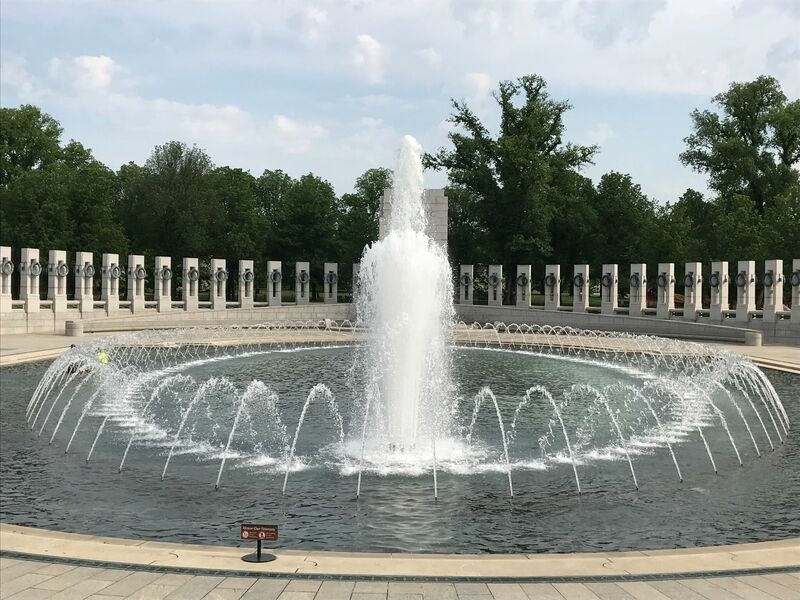 The World War II memorial, located at one end of the reflecting pool commemorates all those who sacrifices for the United States during World War II. 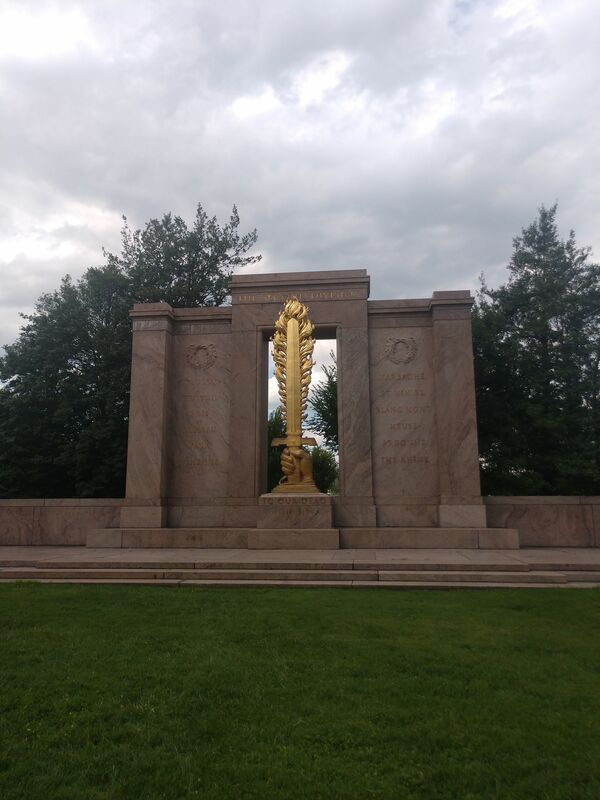 It is designed by Fredrich St. Florian and contains pillars representing each of the 50 states, surrounding a fountain in the middle. 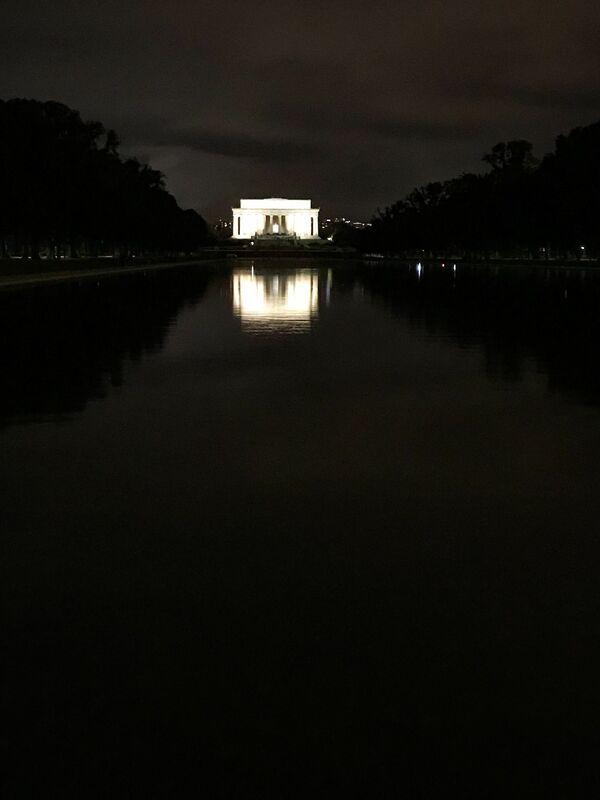 It is lit up at night, and you can see the Lincoln Memorial across the reflecting pool in the distance. 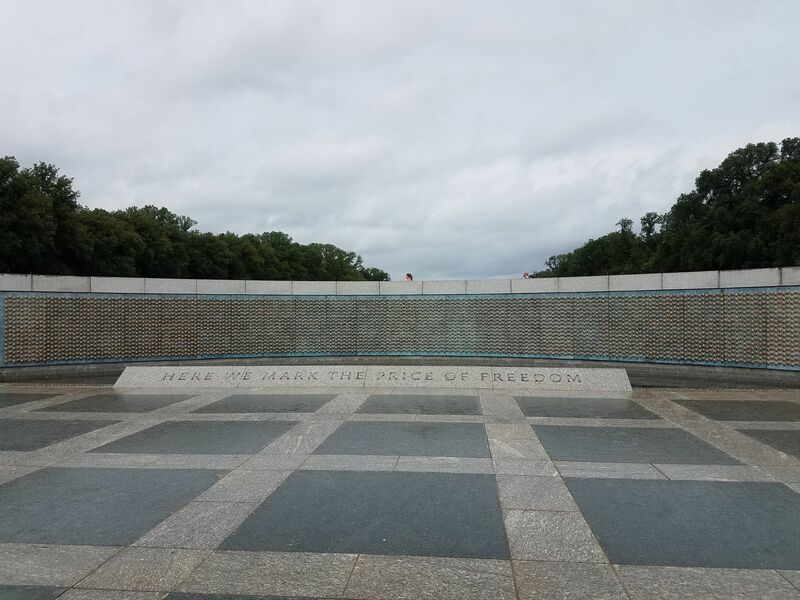 Designed by Maya Lin, the Vietnam Veterans Memorial honors the men and women who were lost while fighting for the United States during the Vietnam War. While walking along the wall it is difficult not to feel overwhelmed by the sheer number of names carved into the wall. 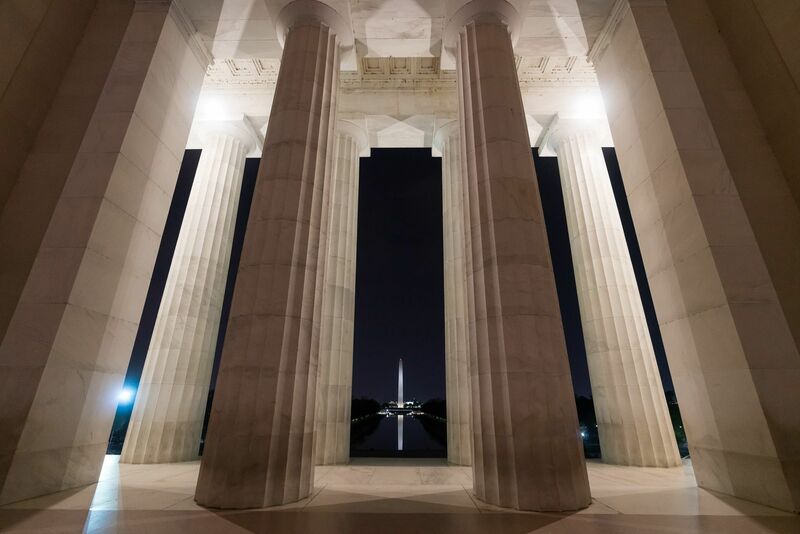 Perhaps the most famous and most-highly visited Memorial, the Lincoln Memorial stands on the end of the National Mall opposite the Capitol Building. 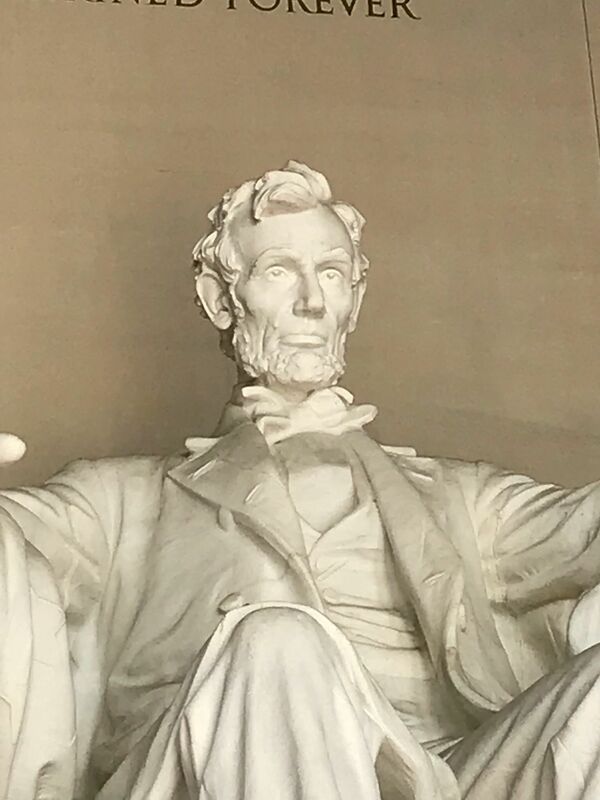 It is dedicated to the memory of Abraham Lincoln, who most people claim as their favorite US president of all time for all that he stood for and accomplished in his time. 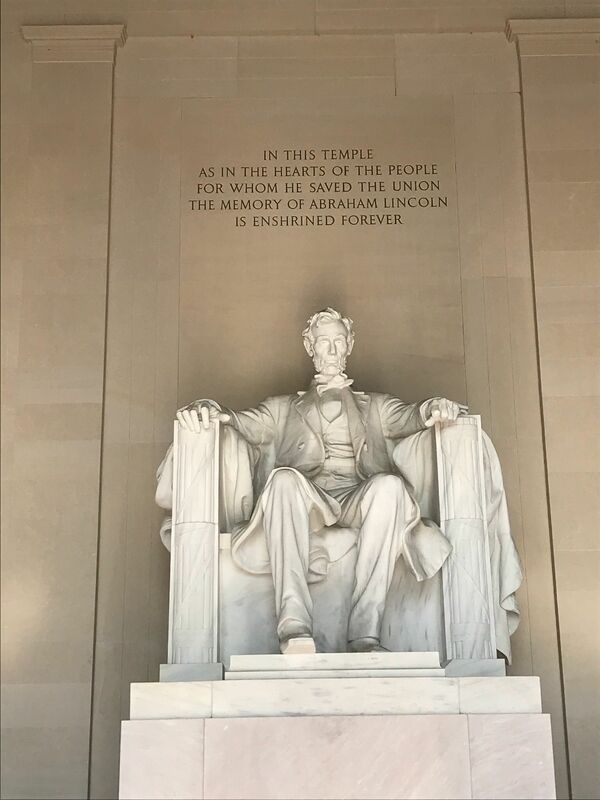 The Memorial stands as a symbol of freedom, remembering the Civil War and Abolition, of which Lincoln was such a strong supporter. 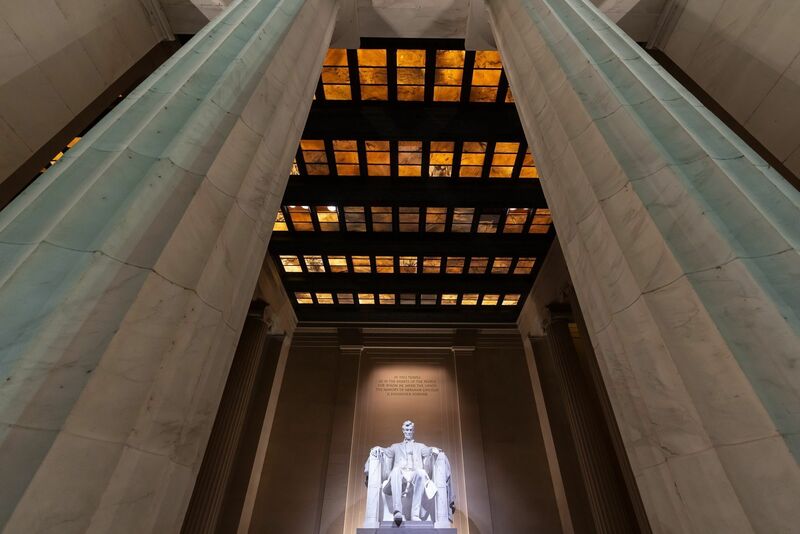 On either side of the large statue of lincoln are two famous speeches, carved into the stone walls. 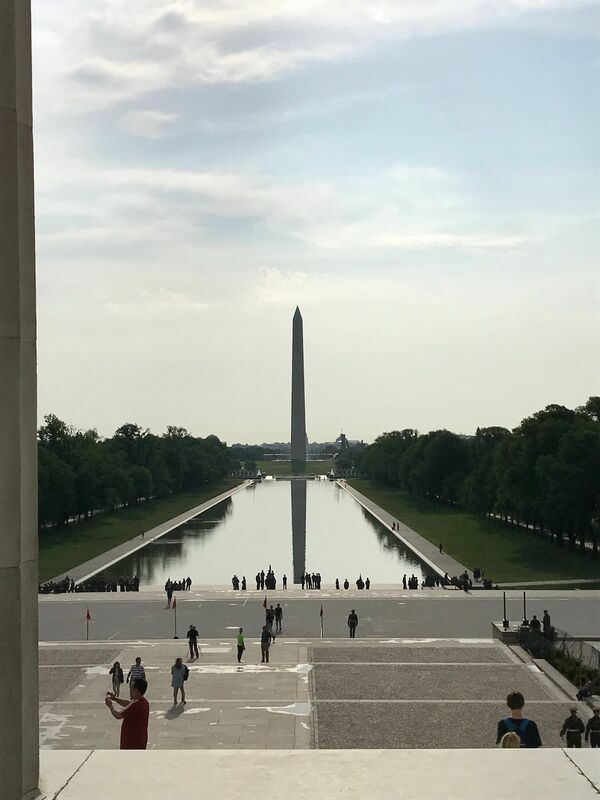 At the foot of the Lincoln Memorial stands a reflecting pool where you can see the reflection of the Washington Monument further down the National Mall. 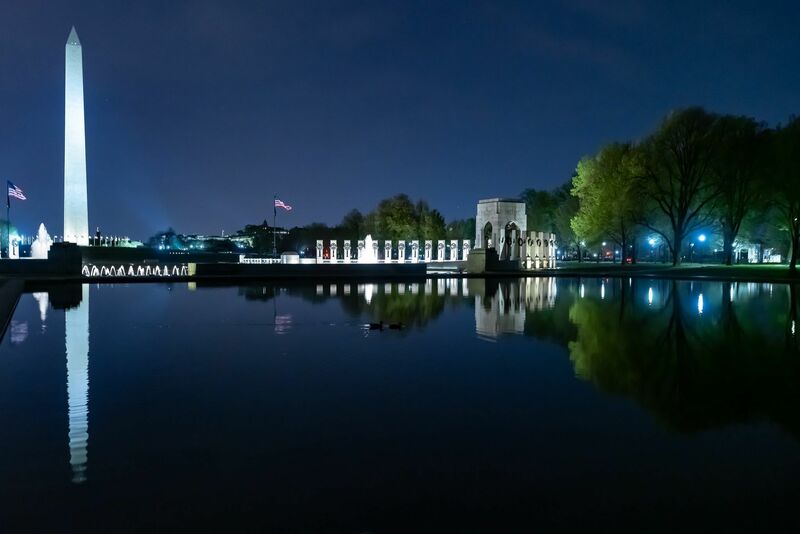 Roughly 24 million visitors a year visit the National Mall, and many make it to the reflecting pool to take one of the better-known pictures of Washington DC. 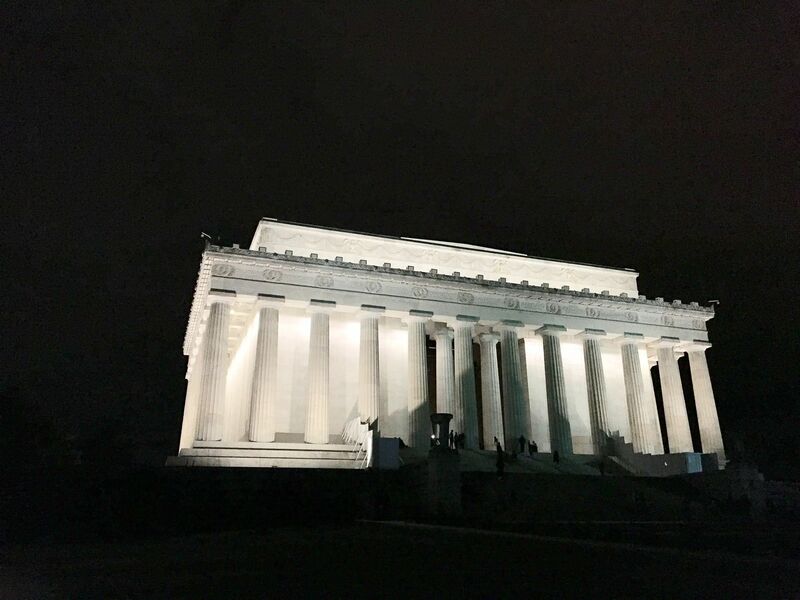 In 2009, President Barack Obama held his inaugural celebration on the steps of the Lincoln Memorial, with around 400,000 watching around the reflecting pool and the tidal basin. 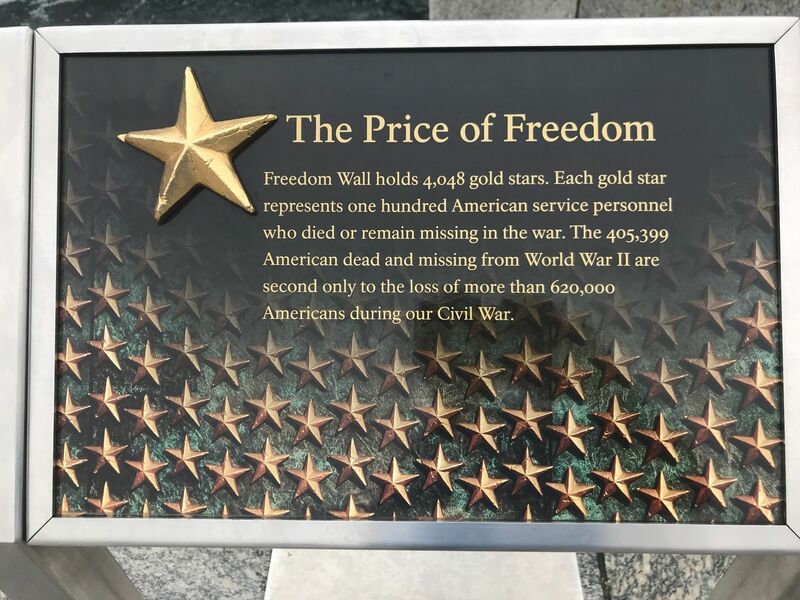 19 steel sculptures are positioned here reminding visitors of the cost of defending freedom. 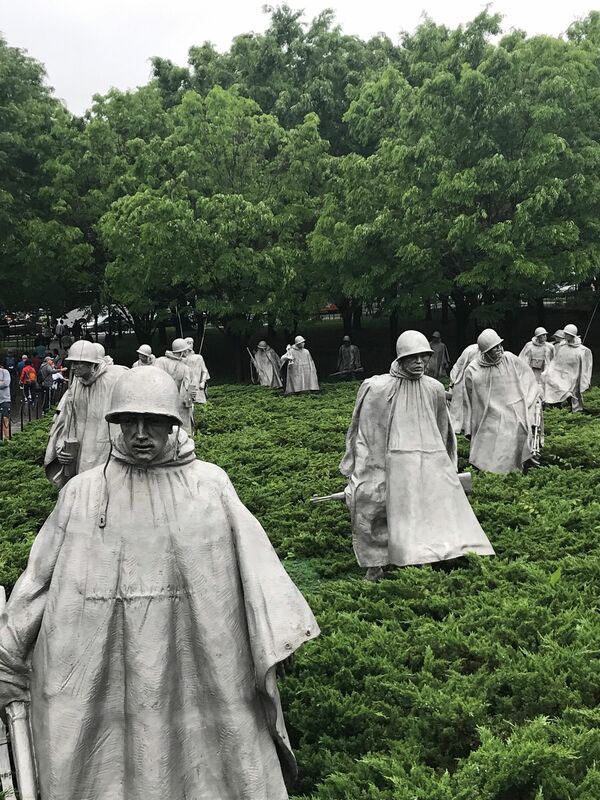 The memorial remembers the Korean War, where the United States helped to defend the freedom of South Korea. 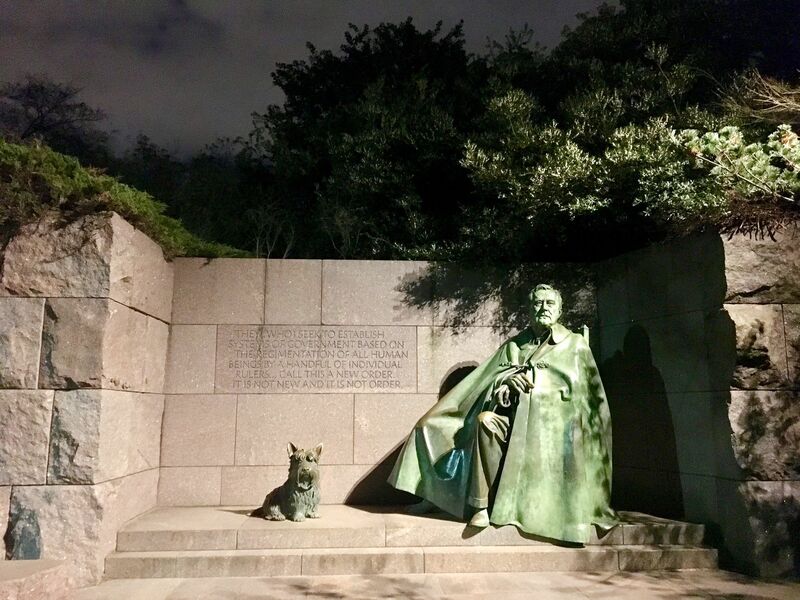 Walk around the Tidal Basin to find the Franklin Delano Roosevelt Memorial, which has the most square footage out of any of the other memorials. It is located along Cherry Tree Walk (visit here in Spring to see the full effect of the blossoming cherry trees). 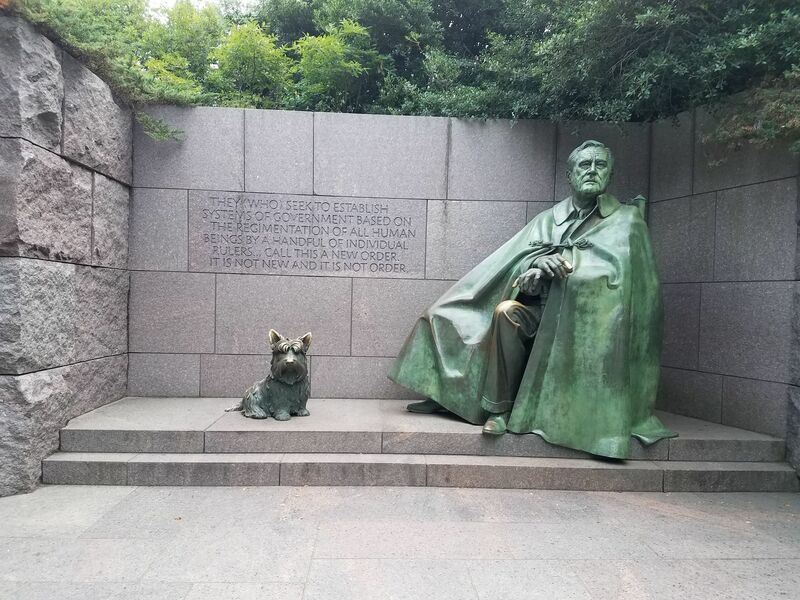 As you walk through the memorial, you will walk through 12 hears of American History, separated by four sections, representing Roosevelt's four separate terms in office. 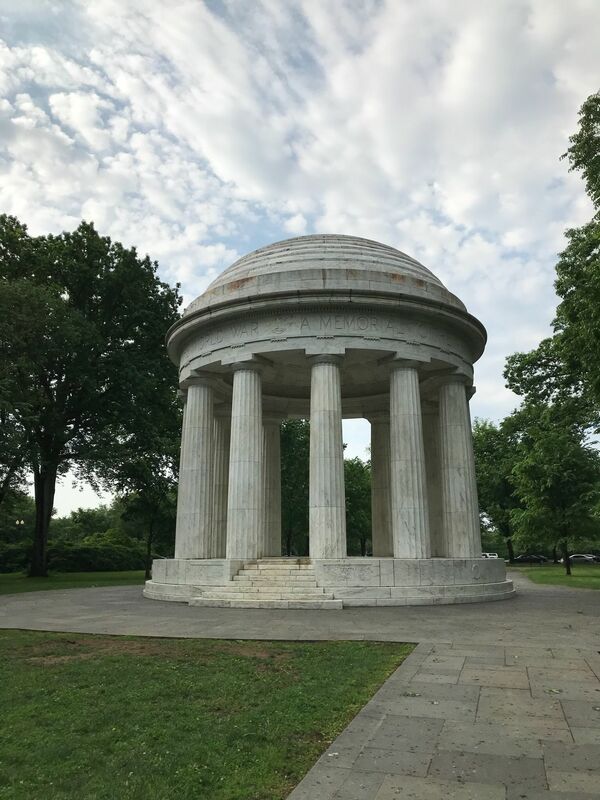 Thomas Jefferson played one of the larger roles as a founding father during the birth of the United States and his words and ideals have shaped America ever since. 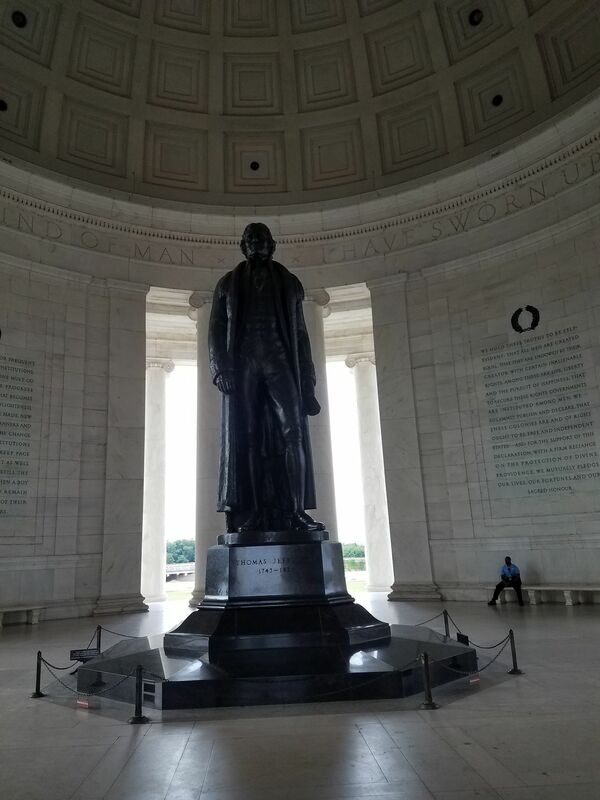 In this Memorial, Jefferson stands tall as a symbol of liberty (for which he fought throughout his life) looking out over the Tidal Basin. It is by far the newest Memorial along this tour but should not be missed. This memorial serves to honor and remember the victims of the Holocaust. At the museum, you can listen to an audio montage of stories from the few who survived. 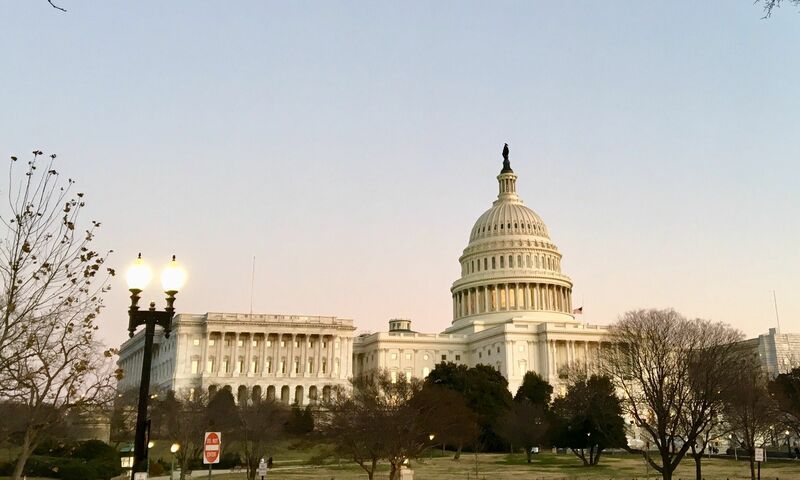 The United States Capitol Building is arguably the most important building in Washington DC. It was built in 1793 and has been rebuilt, destroyed, and remodeled many times. 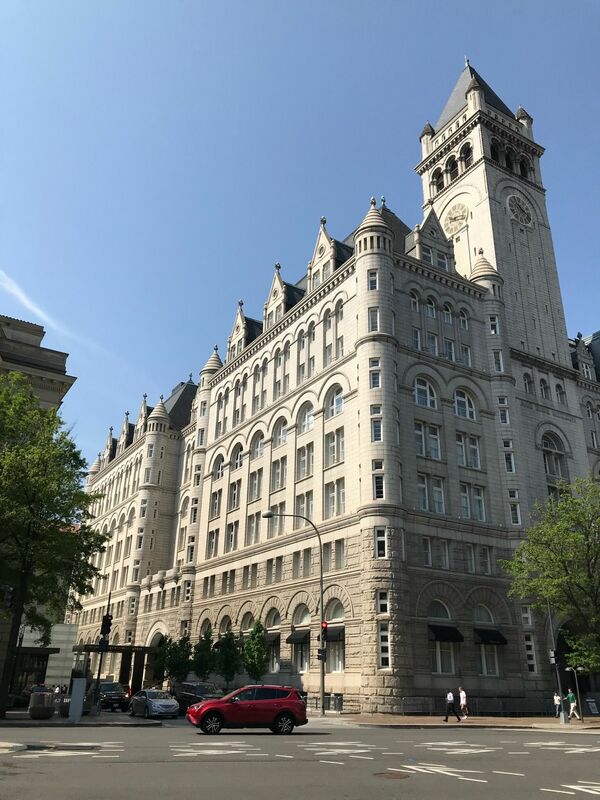 Other than the Washington Monument, no other building is allowed to be taller than the Capitol Building, and the city plan and street numbers are all based around the building as the center of the city. 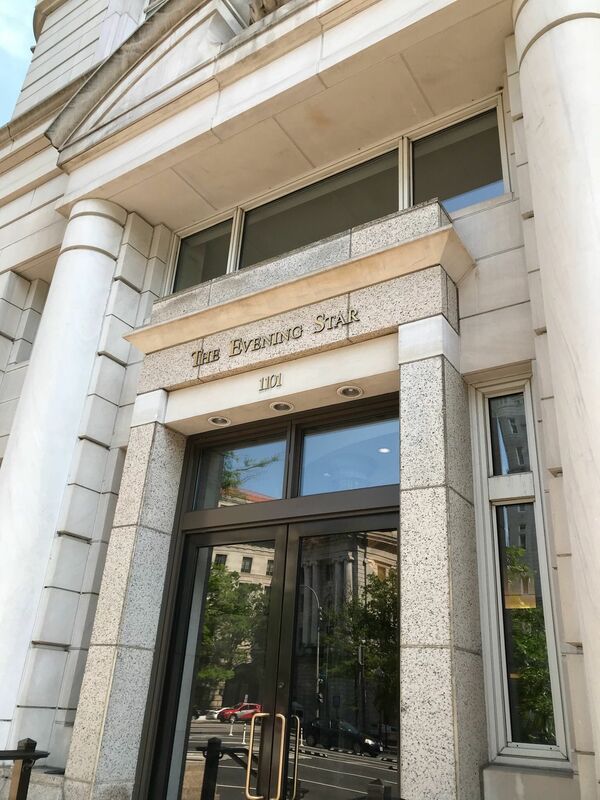 This is where the Legislative Branch of the United States government runs (both the House of Representatives and the Senate). The United States Supreme Court is the highest judicial body in the United States. The 9 justices are appointed by the president and serve a life term (it only ends upon death, resignation, retirement, or impeachment). 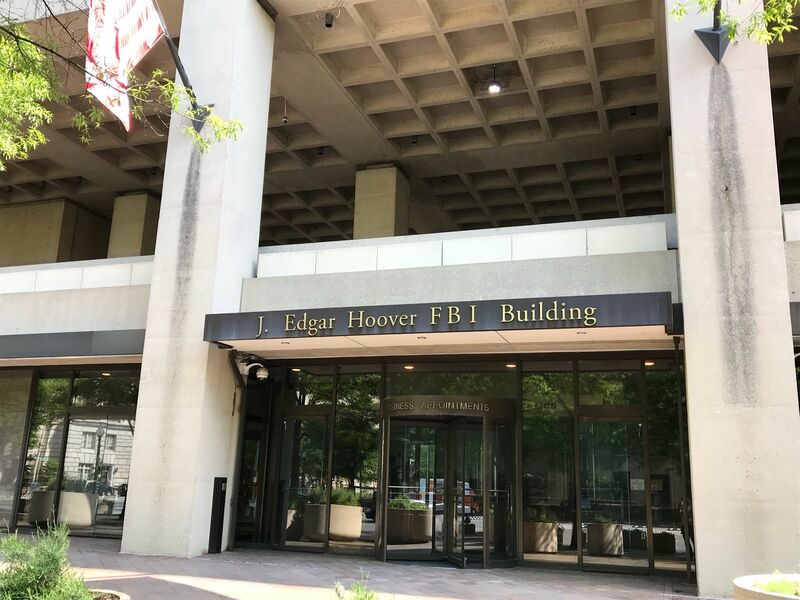 Most legal disputes are first heard at local and state courts, but may reach the Supreme Court if the matter has a large impact on the interpretation of the Constitution, the most important document in the United States Government. 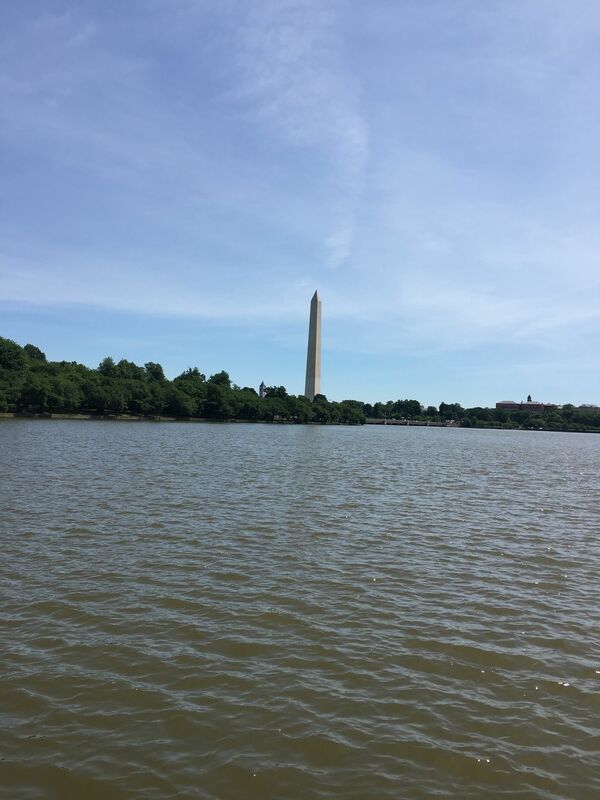 For a shorter version of the tour you can end at the Washington Monument after looping around the Tidal Basin rather than walking down the entire length of the National Mall towards to Capitol Building. 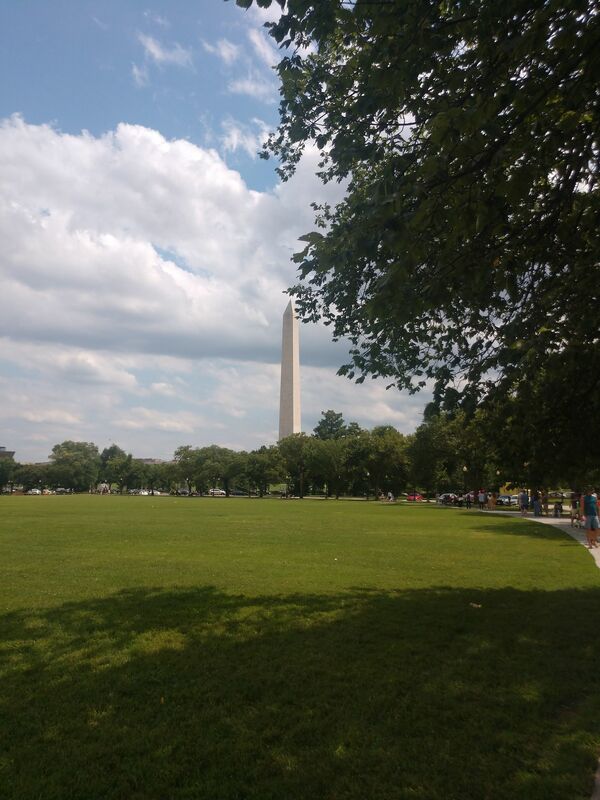 Directions from U.S. Capitol: The walk begins on the east end of the National Mall at Capitol Hill which lies between Constitution Avenue and Independence Avenue. Union Station is a block away. Also, the DC subway, called The Metro, has a blue or orange line that stops at Capitol South. On a Christmas eve when pretty much everything is closed and as it’s getting dark I have decided to do this hike. 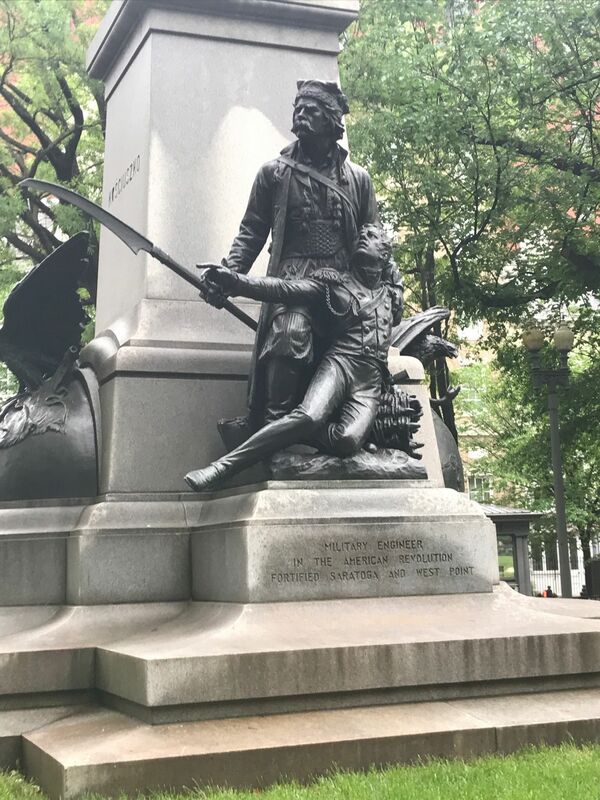 It was beautiful to watch all these Memorials and Monuments exploring by foot. The weather was a bit chilly though. National Christmas Tree is a bonus today. 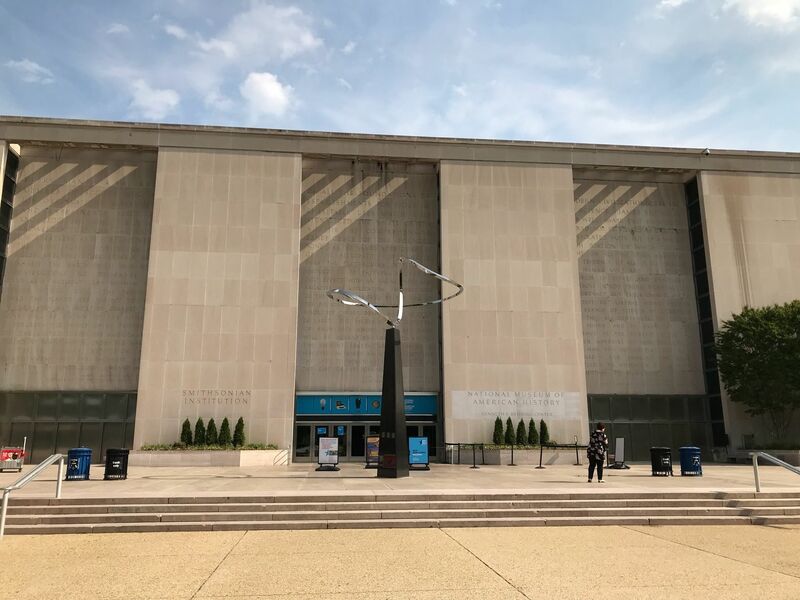 It was closed because of the shutdown but they have to open it today. Definitely recommended hike. Really not much to say except that it's Washington DC. More of a route to follow rather than an actual trail. 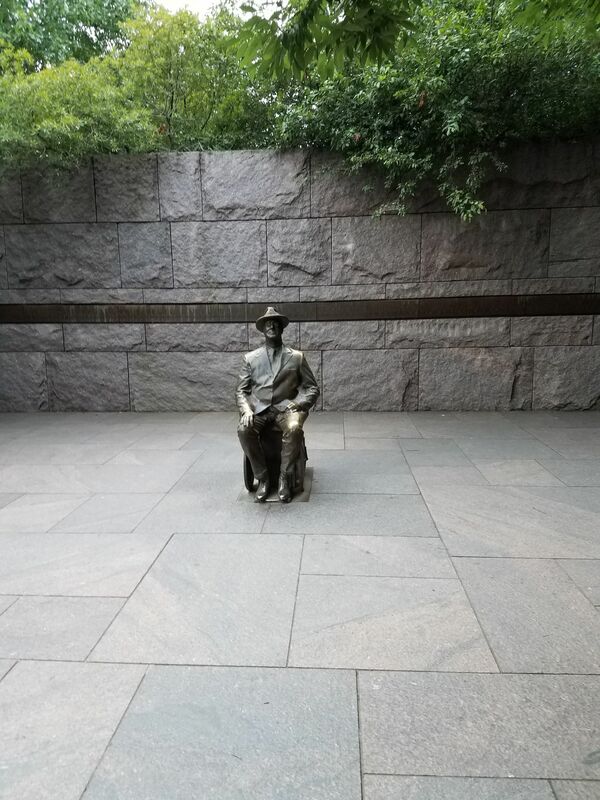 Takes you by many of the major sites, monuments, and museums. 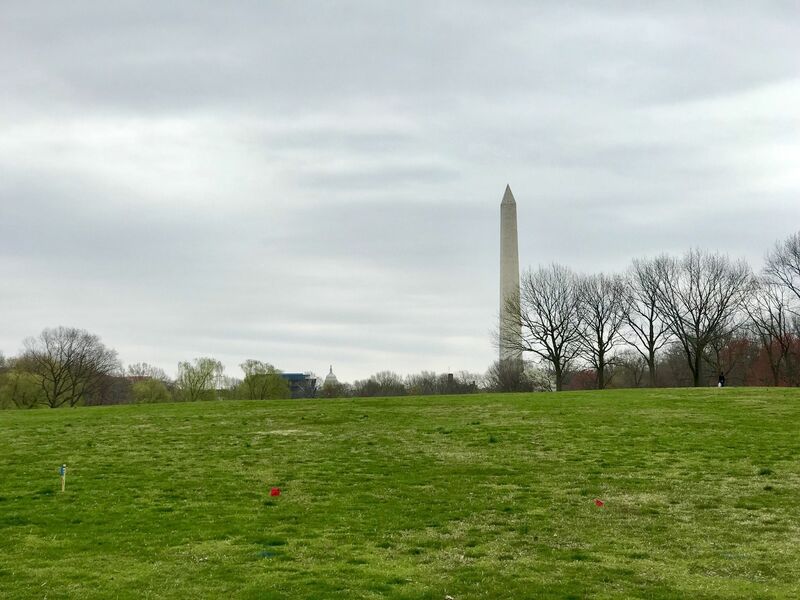 Must do for anyone wanting a course to follow near and around the major sites that DC offers. Great walking trip. Coming from someone who does zero exercise usually, it’s a very easy and enjoyable hike. In total it took myself and my parents roughly 5 hours to see everything (including loo breaks and refreshments) over a course of 7 Miles. 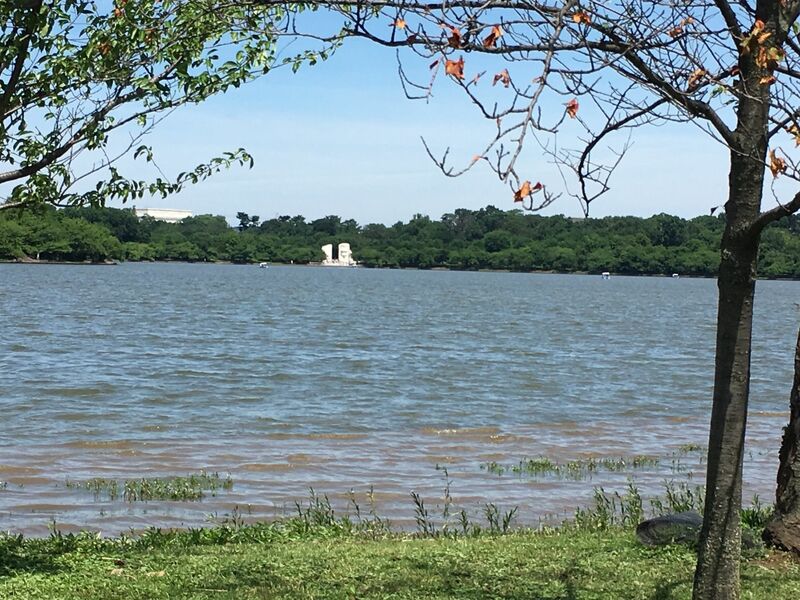 There was flooding around the Tidal Basin sidewalks so we had to detour slightly further out. But the views are simply stunning. However it was a very humid hot day which did take its toll! Definately worth the trip, I would have preferred running in the evening or early morning. 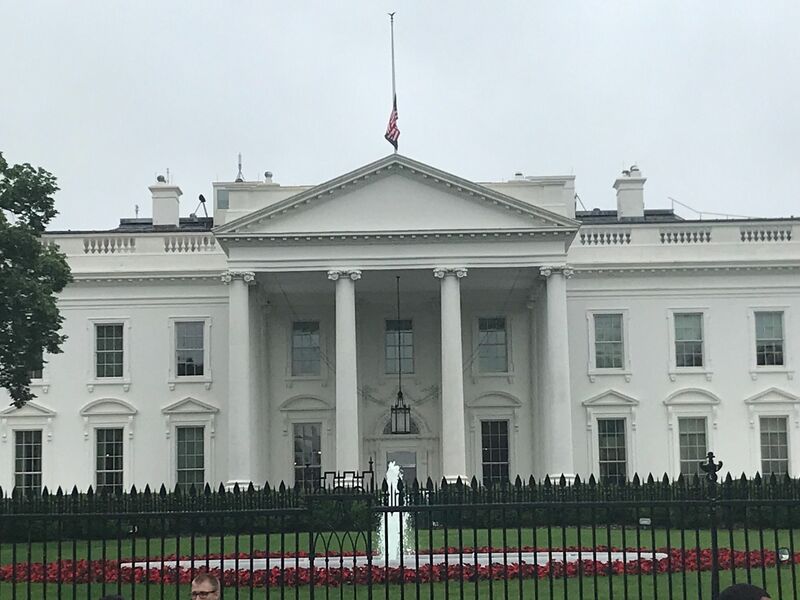 The area was very crowded with tourists, wish there hadn't been protestors at the white house but some people don't care if they're ruining the experiences of others. DC is gorgeous in the fall. Summer is hot. Spring is crowded. 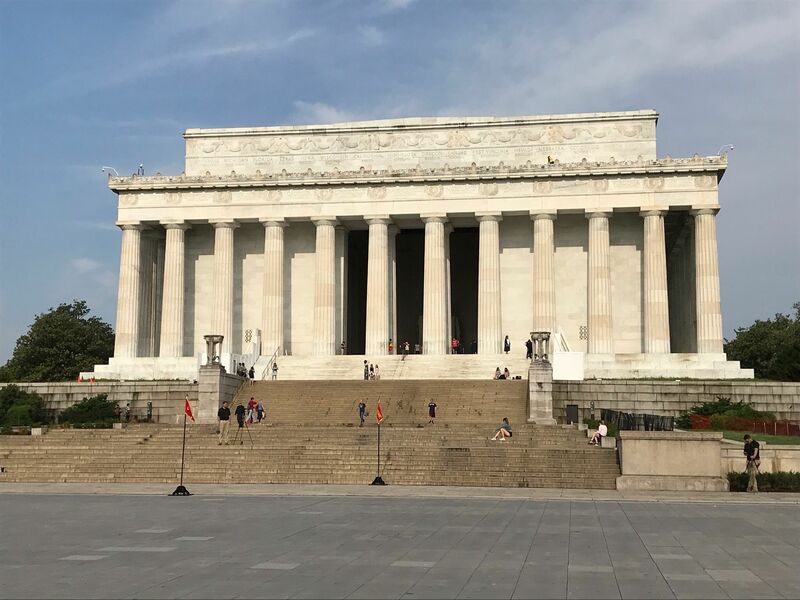 The best hike to see all the Memorials and White House. Very easy, gets rather crowded at times. If you go during summer bring water and keep children/pets hydrated. 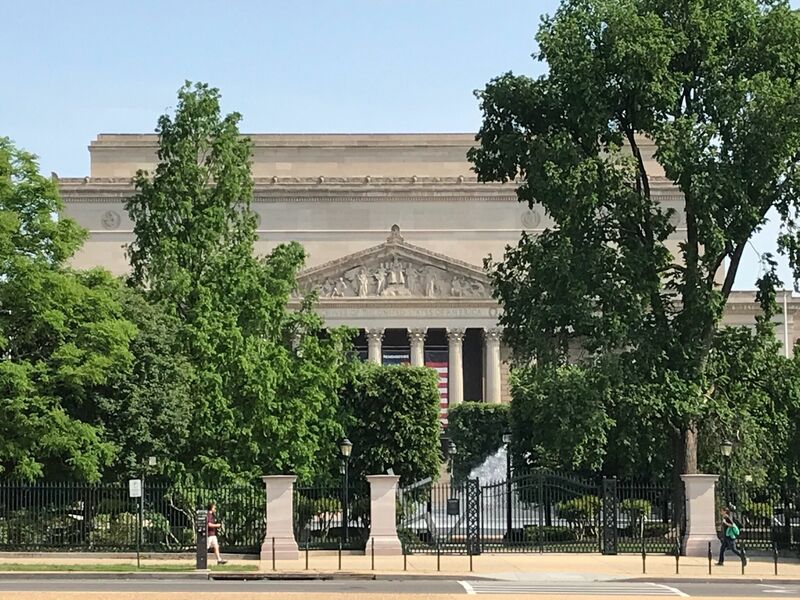 Take your time, it's an enjoyable way to visit our Nation's History. 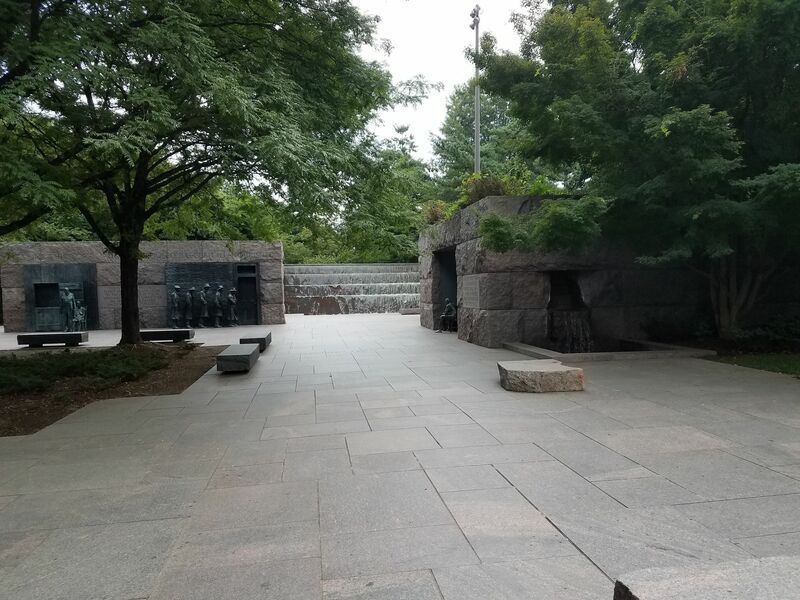 This is a wonderful area to walk around and see all the memorials and history. I did this walk with my father when I was a youngster; however, the views did not get old the second time around, even in the 95 degree heat. After this visit, we drove to Shenandoah National Park located approximately 1 1/2 hours away! Although drastically different, both are well worth your time. Awesome views & scenery; photo ops as well! Walked this today. 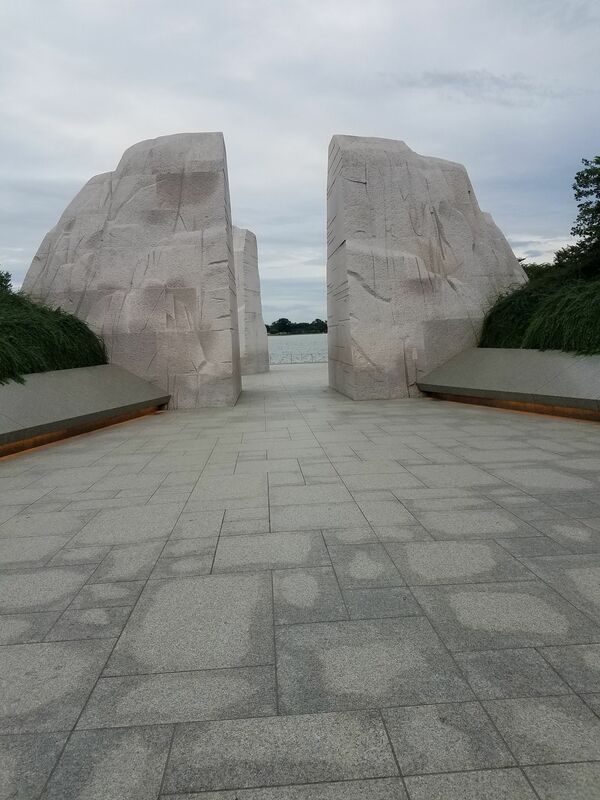 Great hike to beautiful and moving memorial. My favorite were the memorials around the basin. 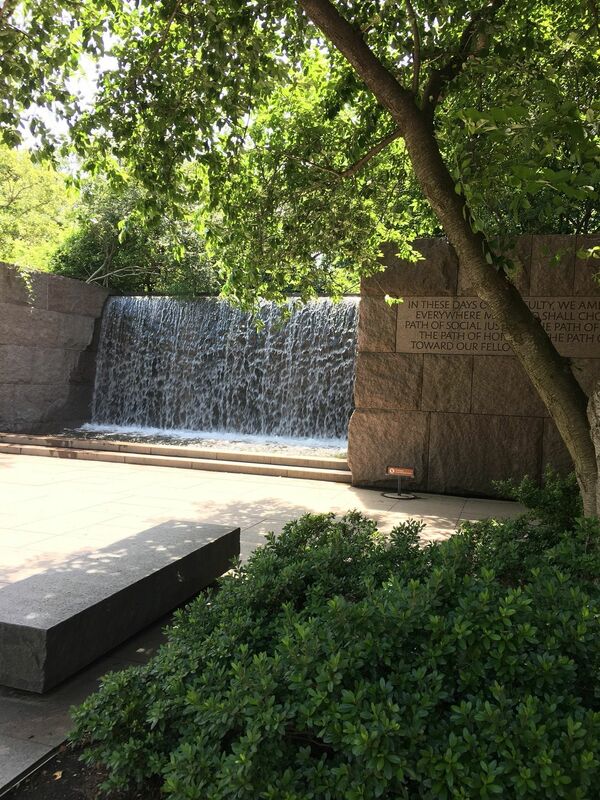 While this is a hot and very humid hike in the summer, it is an awesome and rewarding walk touching on our nation's history. 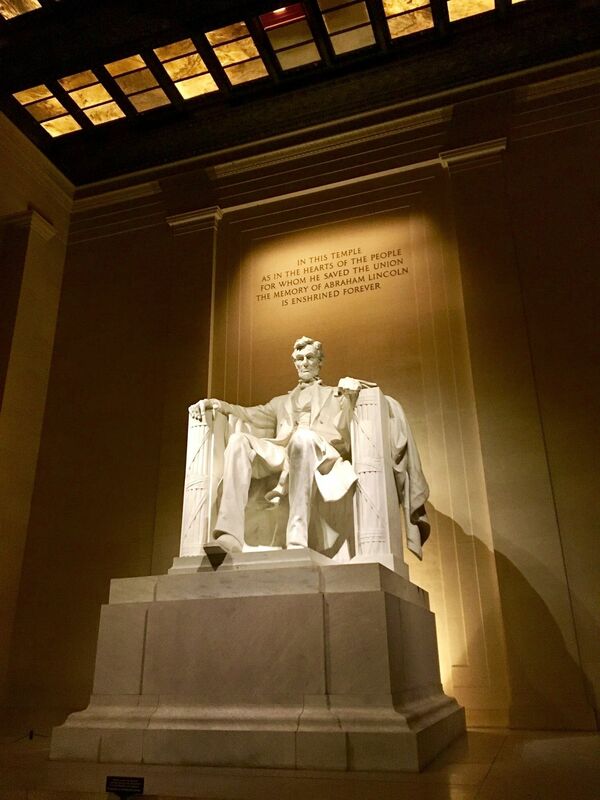 Well worth the time for anyone wanting to see what DC has to offer. Nice urban hike. We went during a rainy day with heavy fog which created deep and wide puddles. The area around the walkways was really muddy. We were not wearing the right shoes for it. 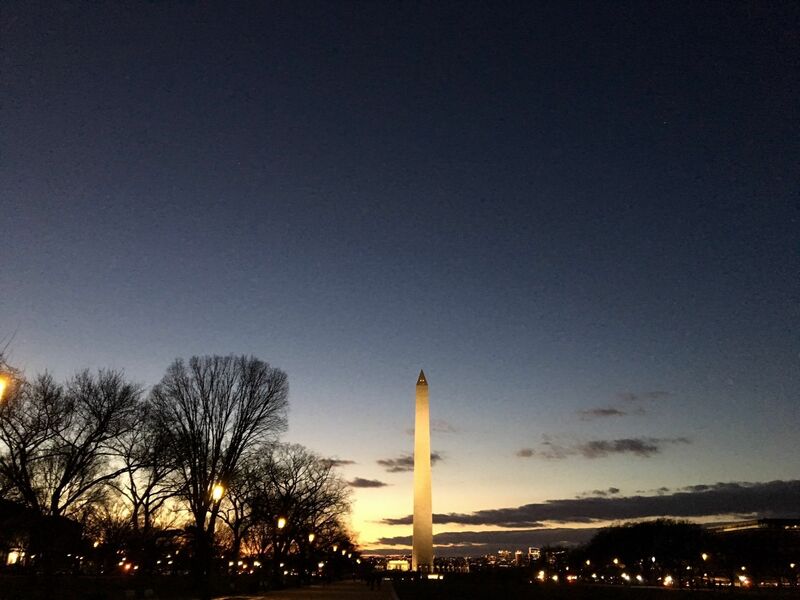 Nevertheless, beautiful views of the monuments. Easy walk. 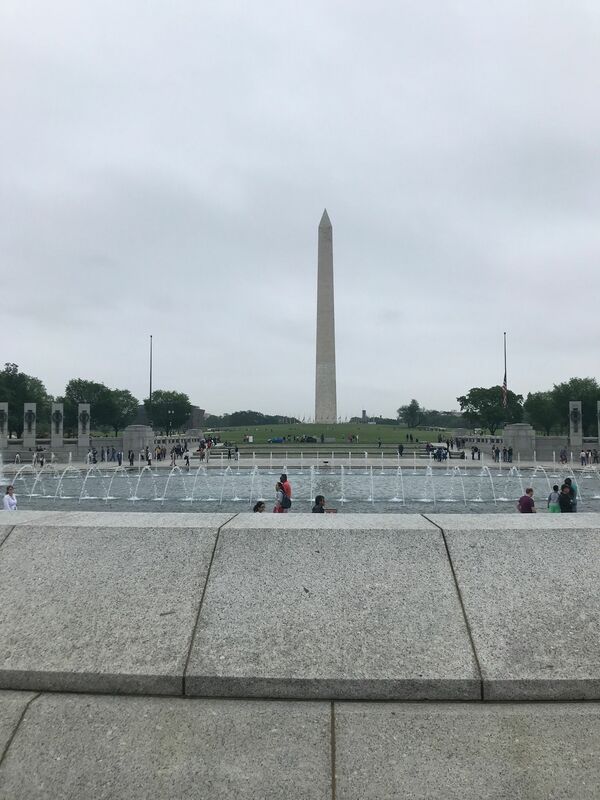 Great walk to all the monuments. Great views absolutely beautiful. 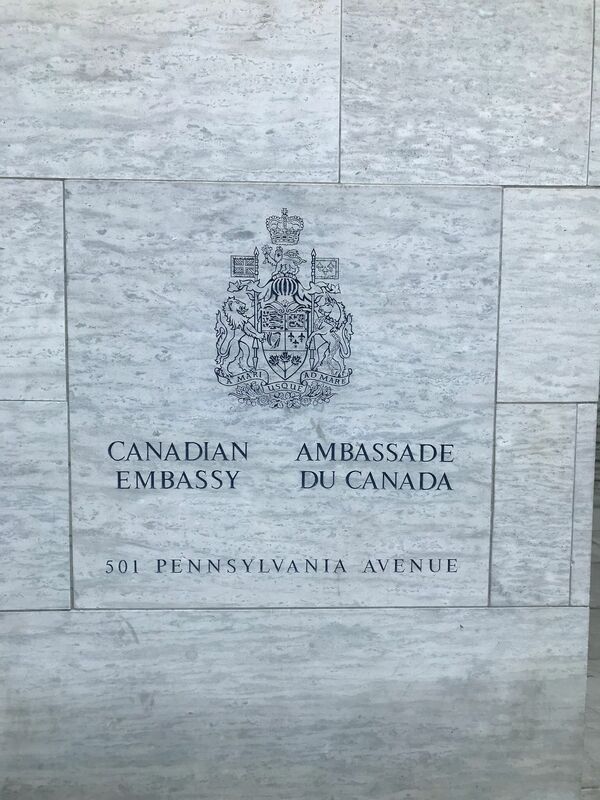 Lots of traffic and touristy but worth it. 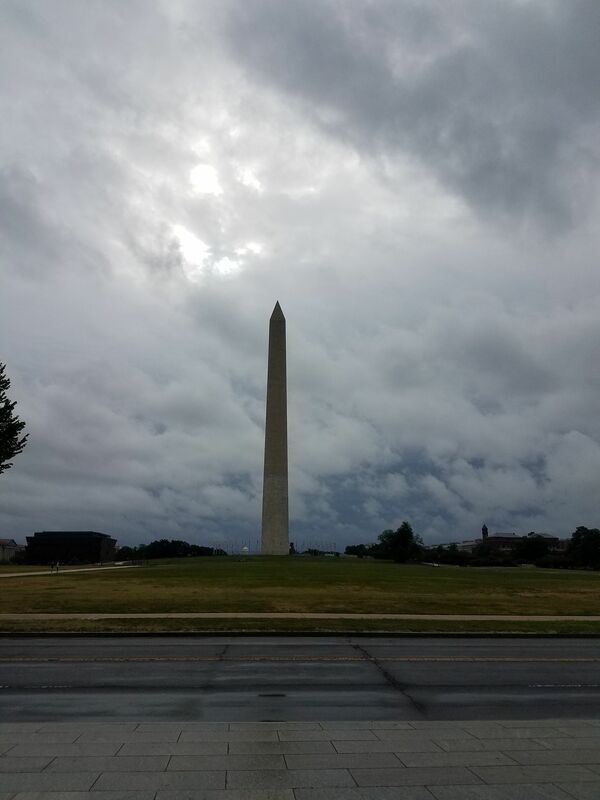 Went to D.C. For vacation, this was the highlight of my trip. 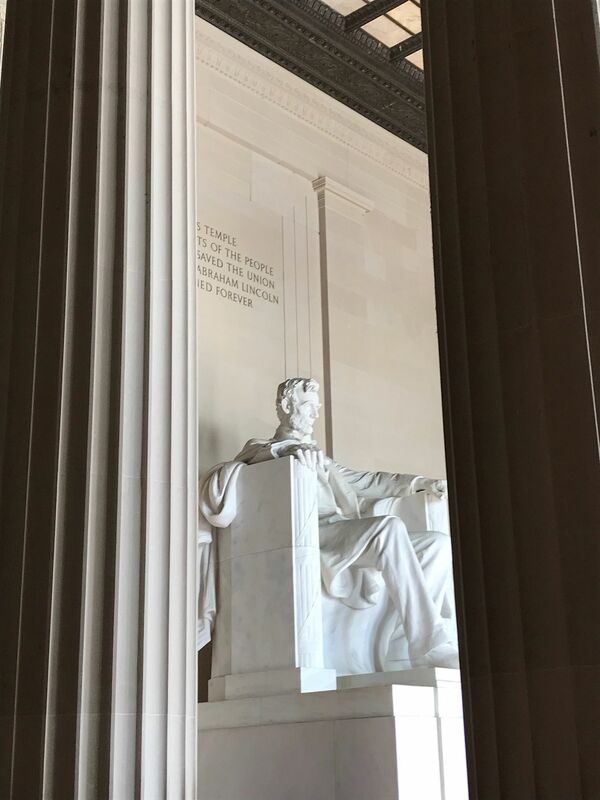 The monuments are fantastic, it's amazing to be up close to our national history. Everything is in walking distance which is great. Only downside is the tourist, far too many people, especially if your trying to get a decent photo. 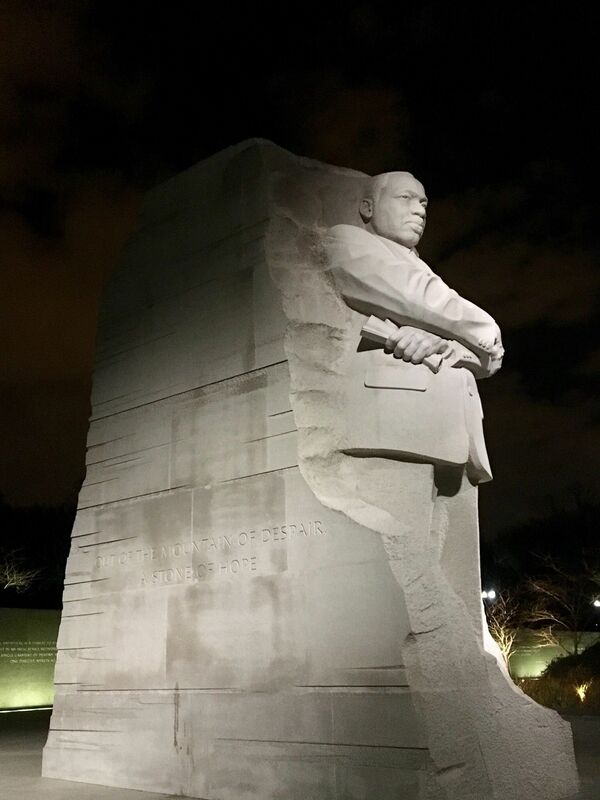 Little bit of advice, go at night, less people and the lighting on the monuments look much better. A definite must do. Very interesting. Always a great stroll especially during the Cherry Blossom Festival. In the middle of July, dress light and put on your favorite walking shoes. The walk can be exhausting with so much historical sight seeing and crowd managing. 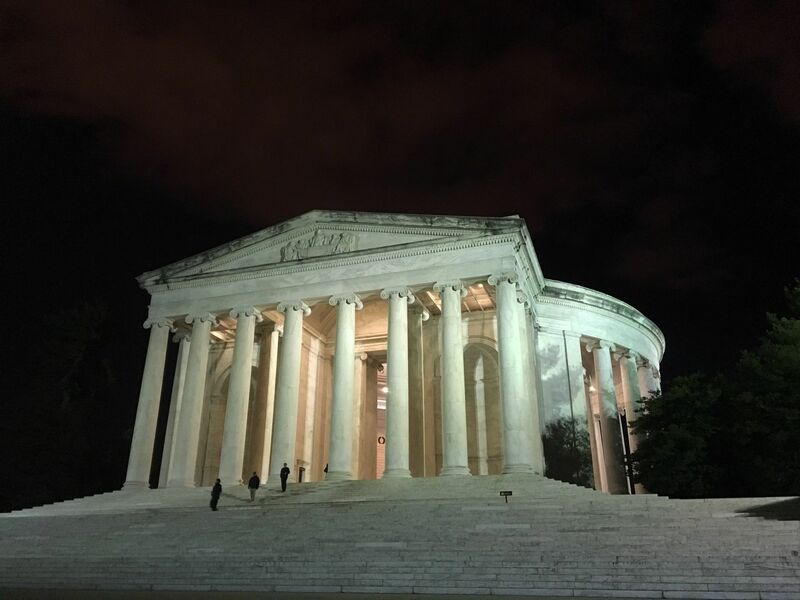 It's a great educational walk in regards to wanting to see how our country's government began. The integration of metro city life with traditional architectural buildings and garden life makes for a full day. 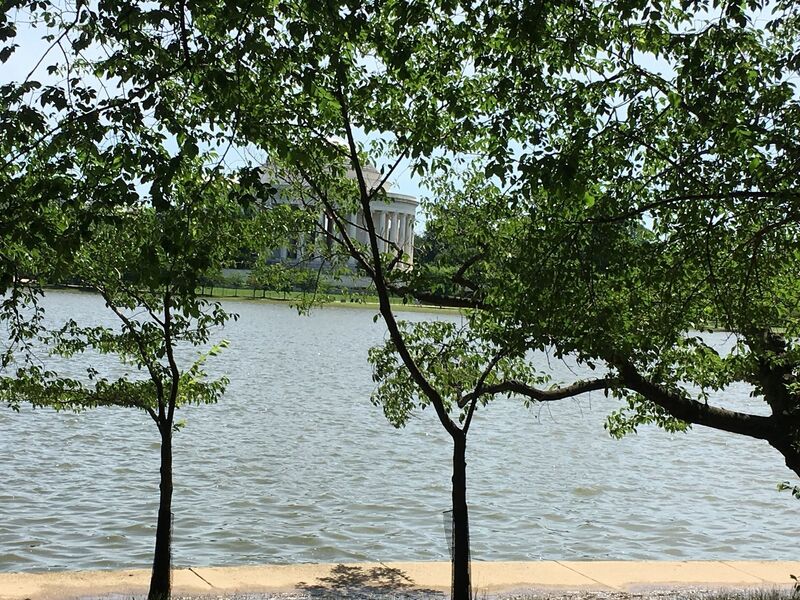 What's not to love about this scenic walk to the DC monuments? Perfect for walking or running! Awful. Feel like I just got a tour of all the Starbucks in DC. 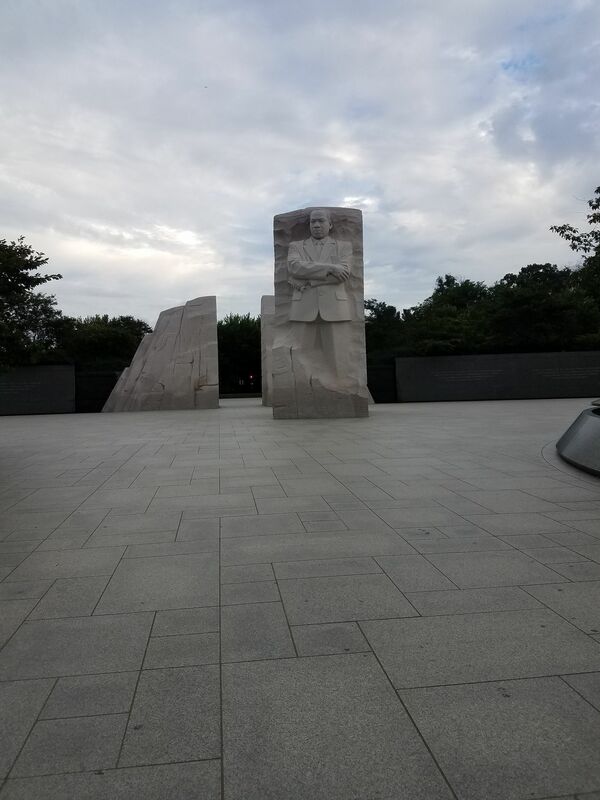 Saw 2 monuments. Awful!!!! It's an incredible walk, but most definitely stop at the botanic gardens. alot of free museums. botanical gardens is my favorite! 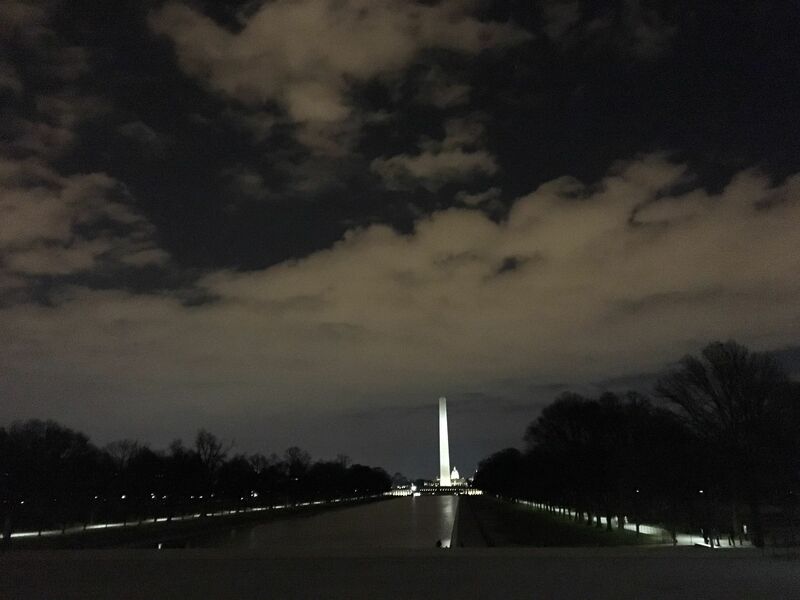 Mixture of when I was a kid and when I was at my job's headquarters close to the Washington Monument. Fall and winter, once the tourists are gone, the mall is a great place for dog walking. 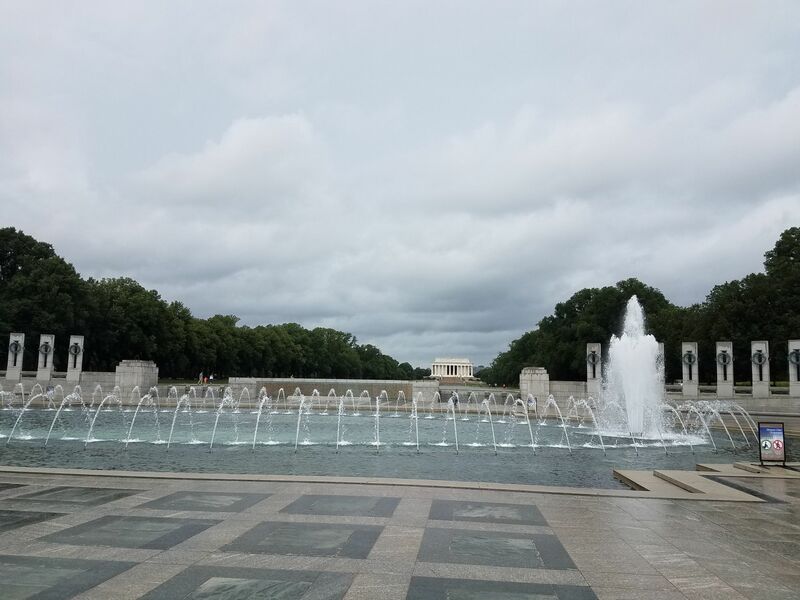 great walk to look at all the monuments of DC! Great way to see everything. 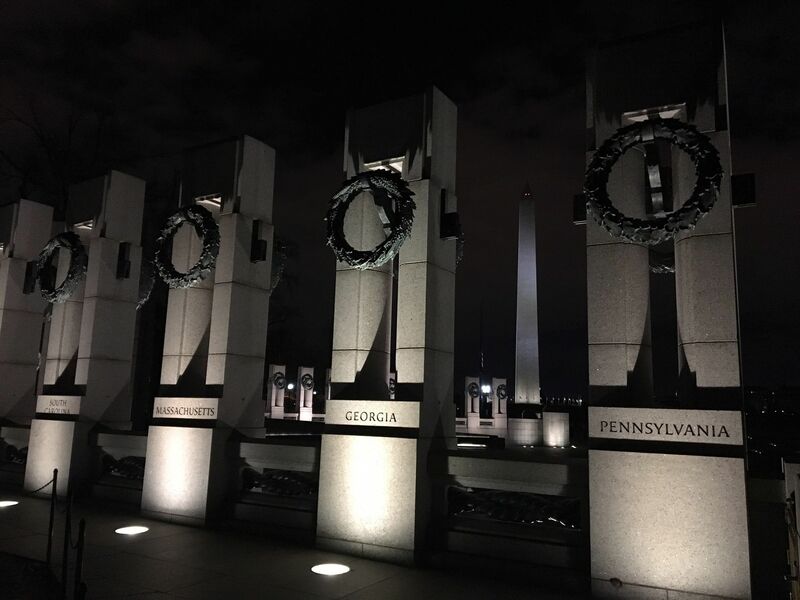 If you love history and our country, these places are a must see!